-Christine Doran (Mahwah, NJ) Great, great, great! 3 Rounds of braces and Invisalign with beautiful results! Dr. Cohen is a doll and runs that office like a well-oiled machine. We have never been there more than 20 minutes! Fantastic, I highly recommend! -Christina Conlin (Tompkins Cove, NY) I only have great things to say about Dr. Cohen and her entire staff. I was blown away by the detailed consultation we received and every question was answered. The flexible payment plan, the level of kindness, patience and knowledge shown by everyone in the office was outstanding. The office environment is very welcoming. My other children can't wait for their turn! 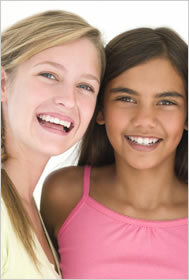 -Donna Doherty (Ramsey, NJ) We have 3 kids with 3 fantastic smiles all thanks to Dr. Cohen and her amazing staff. She takes the time to know her patients and their needs, is professional, experienced and terrific with kids at every age. Highly recommend! -Dorothy Wright (Suffern, NY) I will first say that I went to 3 other offices and chose Dr. Cohen. She has been wonderful, honest and accommodating. The entire staff is spectacular. I will be bringing another one of my children in for a consultation shortly. -Jennifer Rosenblatt (Mahwah, NJ) Dr. Cohen and her staff are wonderful - so easy to schedule appointments and Dr. Cohen treats her patients with such kindness. Love her office and so happy with the choice we made for an orthodontist. -Wendy Seelin (Ramsey, NJ) Dr. Cohen and her staff make the whole process of getting and paying for orthodontic care easy. Thank you for all the great service. -Cindy Buchalter (Mahwah, NJ) Great office, wonderful staff. Our older son's smile is perfect and our younger son is mid-treatment. All the fabulous recommendations were true!